The tiny East African nation of Burundi and its president remain unbowed despite pressure from Western officials. 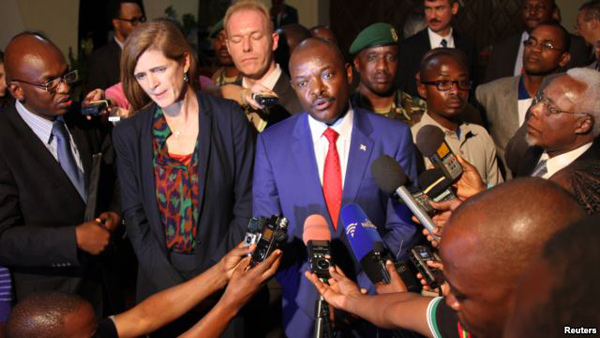 KPFA/Ann Garrison: Burundian President Pierre Nkurunziza told a visiting delegation of the U.N. Security Council that the African Union “must respect Burundi as a member state, and we must be consulted.” In mid-December last year, the African Union Peace and Security Council voted to deploy 5,000 peacekeeping forces in Burundi without the government’s consent. 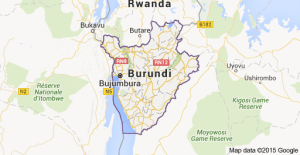 Burundi borders Rwanda to the north, the Democratic Republic of the Congo to the west and Tanzania to the east. U.N. officials and the NGO Refugees International have documented Rwanda’s recruitment of Burundian refugees into a new rebel army. However, international law prohibits the deployment without a two-thirds vote of African Union member states, and the approval of the U.N. Security Council, whose five permanent members, China, France, Russia, the U.K. and the U.S., have veto power. The Burundian government was no doubt encouraged by remarks of the Russian and Chinese ambassadors on the importance of protecting Burundi’s national sovereignty. U.N. Ambassador to the U.S. Samantha Power expressed her disappointment. WKOG UPDATE JANUARY 30, 2016: The African Union has voted against military intervention in Burundi. The intervention in Burundi continues to rightfully oppose.